I was born and raised in Verona. After graduating from Verona, I went to Moorhead for Sales and Marketing Managment. From there, I worked for Green Iron Equipment as the GPS Specialist. In 2009 I married my wife Jill. 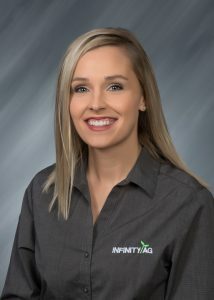 In 2012 I decided it was time to follow my passion of precision agriculture and start Infinity Ag. 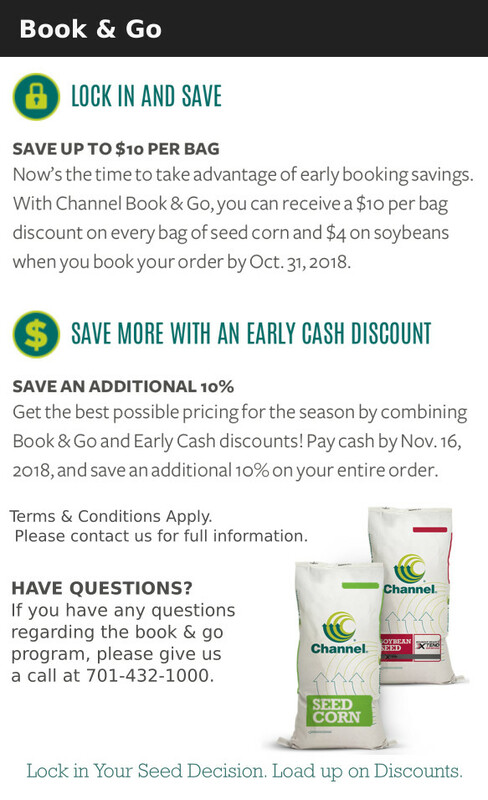 I started precision planting in 2012 and in 2014 we took on the Channel Seed Brand. As the years have passed we have taken on many product lines that I have great confidence in. I am committed to local growers in providing the tools for a profitable farm operation. Jill and I live on a farm just outside of Verona. We have two young daughters. In our free time, we enjoy boating, camping and spending time with family and friends. I grew up on a family farm 7 miles from Verona. In my free time I enjoy snowmobiling, riding motorcycles, hanging out at the lake with friends and family. 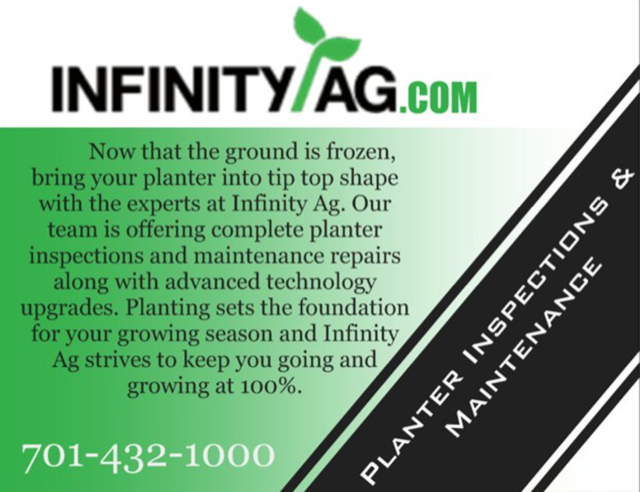 I have been with Infinity Ag since 2012. The thing I like most about precision ag is being able to help fellow farmers produce top yields with maximum efficiency. Western roots and agriculture have always been a passion of mine. I grew up on a small ranch by Cayuga, ND where my mom and I raised and competed performance horses. In my spare time, you can find me riding horse or competing at rodeos and barrel racing events. 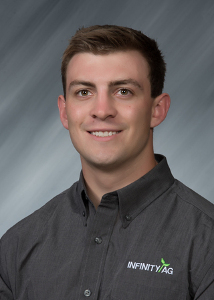 Upon graduating high school in Forman, ND, I decided to follow my passion and further my education in agriculture. 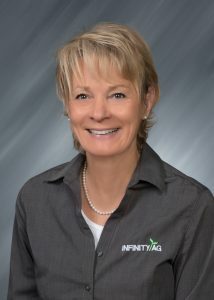 I attended college at NDSU and NDSCS, but it wasn’t until I joined the team at Infinity Ag when I knew exactly where I wanted to plant my roots in the industry. My area of interest rests in soil health and fertility management practices. It is vital to start with our soils' health to build a strong foundation for our crops. Paired along with our advanced technology to improve these practices, I hope to increase local growers efficiency on crop production resulting in maximum return on investment. 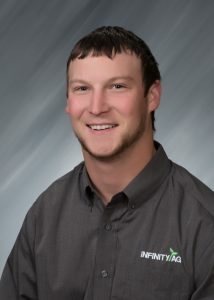 I'm Jackson Lemnus, Precision Agronomist for InfinityAg. My job is dedicated to help and coach each client towards better management practices, increased efficiency, and maximum return on investment on every acre. 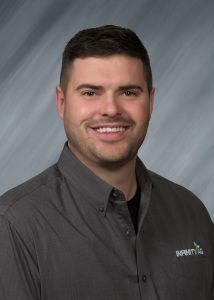 From selecting the right seed, setting up a planter, to scouting fields and precision management zones, I can help you take your operation to the next level. My passion for efficient and sustainable agriculture first started when I was going to high school in Valley City, ND and working with Centrol Ag Consulting as a field scout. The experience provided me with an in depth look into many strategies of farming across North Dakota. After high school I went to NDSU for two years in Crop and Weed Science until I transferred and finished at Bismarck State College with a degree in Agronomy, Industry & Technology. It’s my personal goal to help growers be progressive and take the next step in their operation towards efficient and sustainable agriculture while remaining good stewards and setting an example for the next generation. In my free time I enjoy fishing, skiing, hunting, and quality time with friends and family.